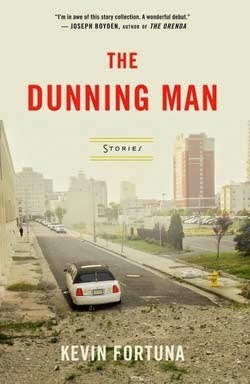 In my endless attempt to make myself appreciate short stories, I was asked by TLC Book Tours to read and review Kevin Fortuna’s new collection, The Dunning Man and I accepted, thinking maybe this will be the one to finally draw me in. The problem I tend to have is length. Just as I’m getting into a story, it ends. I can’t move on that quickly, I’m afraid. Kevin Fortuna’s characters are all after something, seeking to make the most of the lives they have. Because of this, yes, you get attached to them and want to see them succeed. However, they draw you in just enough, and let you go. You’re ready to move on to the next story to see what will happen to the next character Fortuna has so vividly drawn. Each story is set in a major city: New Orleans, Washington, D.C., Manhattan, which adds to the atmosphere Kevin Fortuna creates for his characters. 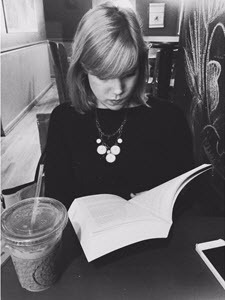 Each is fighting for something, each story written in succinct prose that makes you root for characters who are other wise, well, losers. Addicts and alcoholics and criminals, each one is on his own mission, and the title story, the final story in the collection “The Dunning Man” is the one that stuck with me the most. Clocking in at 140 pages, The Dunning Man is a quick read, but I think you will find yourself lingering over these stories and the way they portray life and humanity, and the things we long for. If you’re not a short story person like me, these might just be short enough to keep you reading! Don’t forget to check out the other stops on this tour! I like the theme he has going through these stories; each underdog protagonist fighting for something. Thanks for bringing this one to my attention! It was a good theme! And a book I hadn’t heard about before this ! I have a hard time reading short stories when they’re all by one author. I don’t know why. But I prefer collections where many authors write for the same theme. Not sure if you’re into fantasy at all, but the Wildcards books are a bunch of short stories written in the same universe, about people with mutant powers and they fit together very well. There are a ton of books in the series, and I’ve read the first two. I agree, I love collections too! I’ve never heard of Wildcards though, I’ll have to check it out!